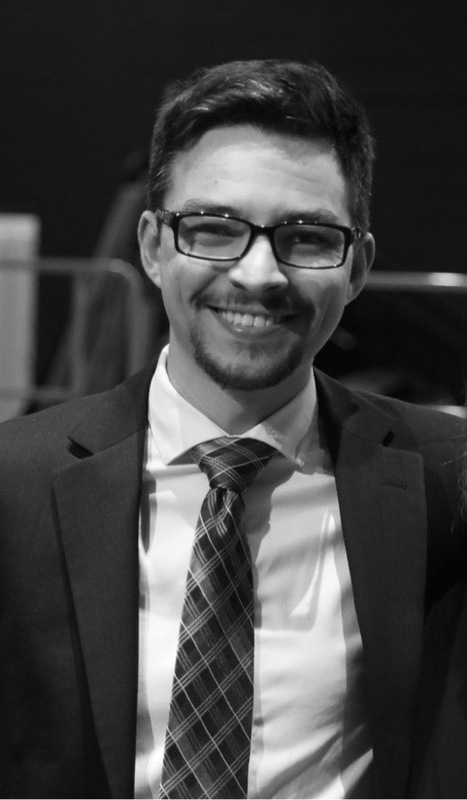 Brian Jozwiak was raised in Vernon Hills, IL and received bachelor degrees in Music Education and Vocal Performance from Augustana College in Rock Island, IL in 2015. Brian sang in the Augustana Choir for three years, including numerous performances at IMEA and ACDA Conferences as well as both domestic and international tours in Sweden, Germany and Denmark. In addition, he played Viola in the Symphony Orchestra for four years. Upon Graduation from Augustana, Brian taught choir in Orion, IL and in Belvidere, IL. Currently, he is the Director of Choirs at Woodstock High School. Teaching high school students through choral music-making is a rewarding and inspiring profession that he hopes to continue throughout his life. There is nothing quite like sharing and creating music with others. As a professional musician, Brian has sung with the Quad City Choral Arts (2016) and Cor Cantiamo (2017-2018). He is honored to have the joined the St. Charles Singers in the fall of 2018 and looks forward to all future musical experiences in the ensemble. In addition to his life as a teacher and musician, Brian is an avid Chicago Cubs fan and enjoys travel with friends and family.